While we still have quite a bit of winter left, especially in Buffalo where its official end is often a guessing game, for those planning ahead, spring wedding flower arrangements are delicate and beautiful. As opposed to their preceding winter bouquets and arrangements, spring is a representation of the renewal of life. Color begins to be subtly introduced back into the floral color schemes with pastels, cheery yellows and sweetheart pinks. It’s true when they say that love is in the air in the springtime. The sweet smell of the flowers are a tell-tale sign! HGTV and Martha Stewart Weddings explores a few options for simple, yet lovely wedding flower arrangements. Then check out some examples Buffalo Wedding Florist has designed for more ideas for your springtime floral fantasies come true! This cheery bouquet consists of yellow freesias, cultivated guelder rose, cream spray roses and cream parrot tulips. Nothing says “springtime” quite like tulips and daffodils. These centerpieces are homey and beautiful and completely embody the season at its best. This is a different take on floral design. 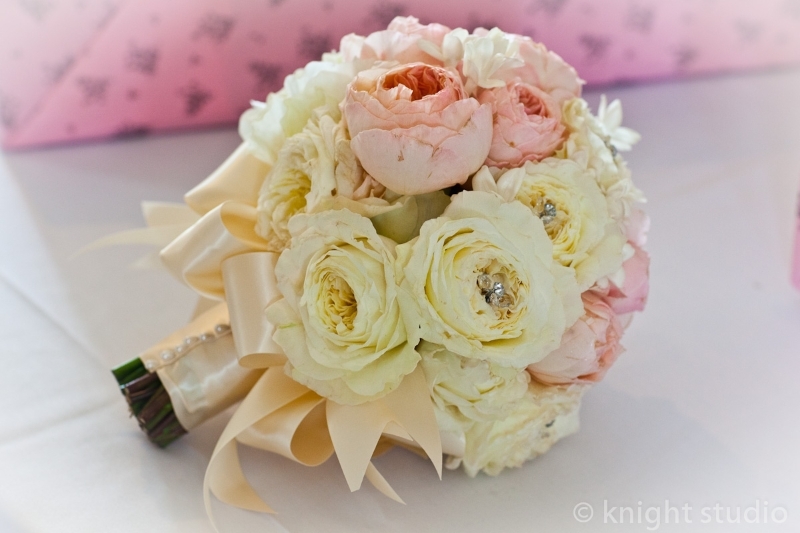 The lengthening of this bouquet is romantic and elegant with exciting splashes of color. 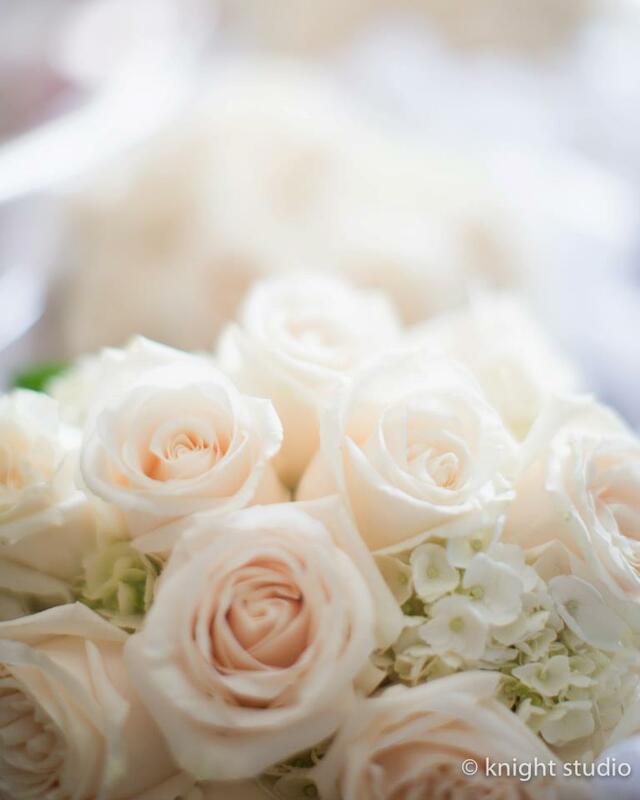 No matter what kind of arrangement you had in mind for your springtime nuptials, Buffalo Wedding Florist is ready to take on the challenge of sculpting the floral designs you’ve always dreamed of. You will never go wrong with giving flowers as a holiday gift. Whether it’s coming over early to give your parents a wonderful bouquet of flowers, or showing up at the host of your family’s Christmas party with a flower or fruit basket, flowers will always be accepted and welcomed. Think about it. How many times have you given a gift (clothing) that had to be returned? Probably too many times. You know how many times you’ve given the gift of flowers that had to be returned? Probably never. Flowers are a great gift to give for any occasion, but sometimes people overlook the holidays as giving flowers as a gift. Don’t do it this year. 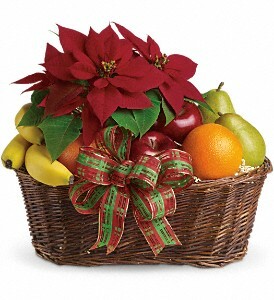 Check out some of the Christmas flower selection at our friends at Plant Place and Flower Basket and have a unique gift that your receiver will enjoy. 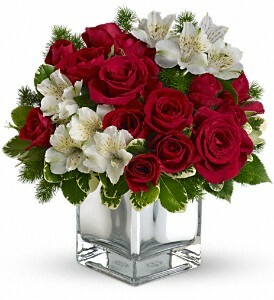 This can include Poinsettias, red and white roses, white alstroemerias and even some Christmas cacti. Remember the vases too the flowers come in, these can be used time and time again to host other flowers throughout the year. 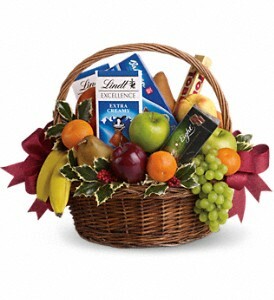 A great gift for a party that everyone can enjoy is a fruit basket. 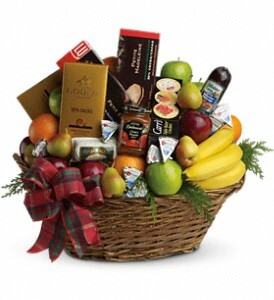 Called the Ultimate Christmas Basket, it comes with fresh fruit – apples, pears, bananas, oranges – chocolate and cookies, cheeses , sausages and much more. With a sturdy wicker basket, it’s a long-lasting gift and a true party-pleaser. Keep flowers and fruit baskets these in mind as your running through your Christmas list and say “What am I going to get them for Christmas?” Remember, you’ll never go wrong with flowers. Summer is wedding season, which means it’s flower season too. Some of the most memorable pieces at any wedding are the flowers, after all the brides bouquet will be forever remembered in pictures. Unfortunately for the bride or wedding planner, this means the decision on what flowers to choose makes it just as a difficult and important decision as the church, reception venue, invitations and dress. And making the decision even more difficult is the plentiful flowers to choose from. 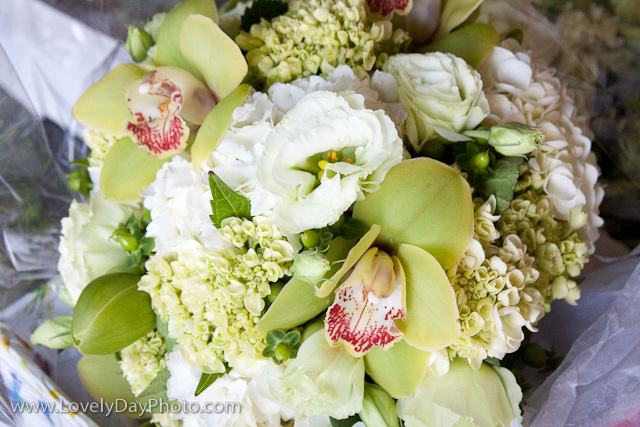 From Calla lilies, tulips or hydrangeas the selection and arrangement are of the flowers are limitless. 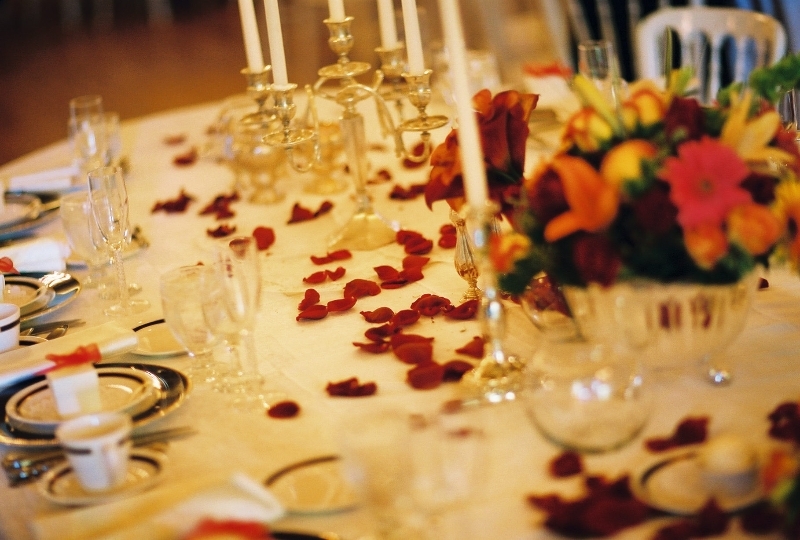 Most weddings feature flowers that match the color scheme of the wedding, which is typically white. Calla lilies, orchids and roses and tulips come to mind as popular white, classic flowers that the bride and guests will love. 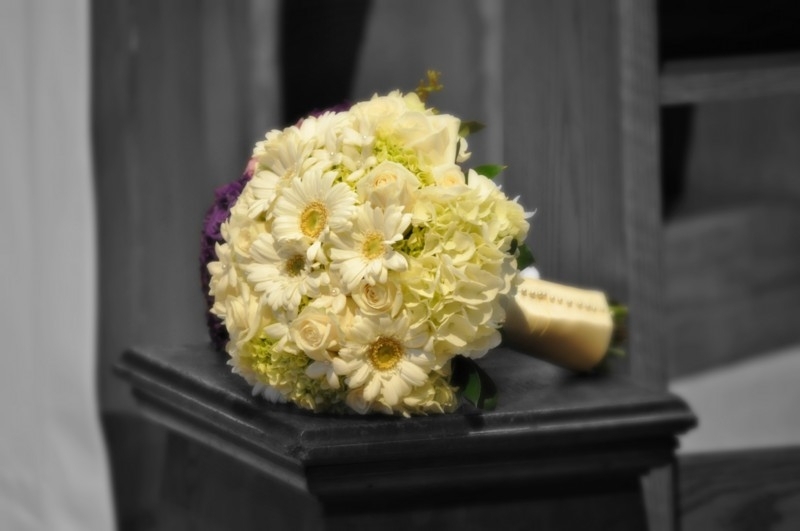 But what most wedding planners or brides overlook is that any color flower matches with white. From Red roses, to pink Gerber daisies, purple orchids or blue hydrangeas, flowers can create an original color scheme and accent to your predominately white wedding. What’s wrong with standing out with bold red roses, yellow cattleya orchids or green gladiolis? Check out this slideshow from Martha Stewart Weddings and see how bold can be beautiful. 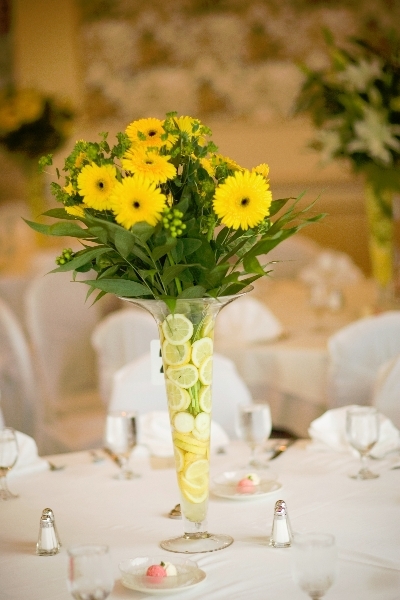 For any ideas on flower arrangements in WNY, or floral wedding centerpieces, let us know and we can create an arrangement just for you!